TacOps, Armored Task Force, Combat Mission, Close Combat, Command Ops and Flashpoint Campaigns had a baby! 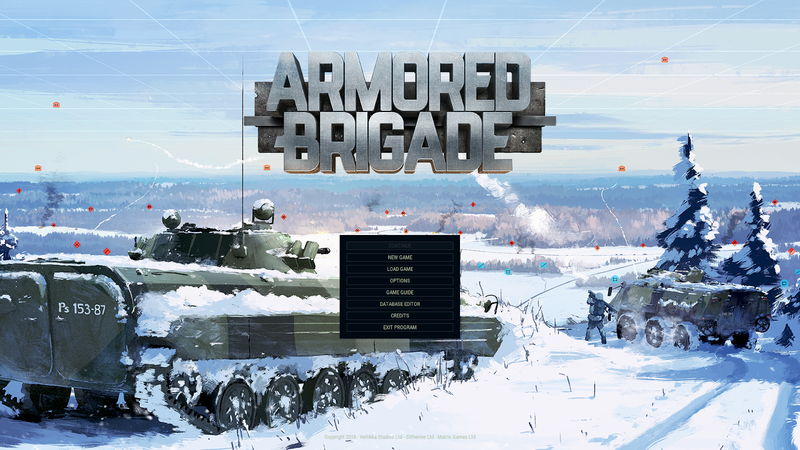 Armored Brigade -shown in the video below in a beta status- is perfect for detailed and realistic tactical combat during a Cold War gone hot. A very well designed game, pleasant to the eyes and ears, featuring full-fledged combined arms action in battlefields of up to 15x15 km. The battle generator shown in the video leaves the player in command of almost everything imaginable. It is the best sandbox I ever seen in a computer war game. Additional options are available in a full fledged scenario editor, in which you can edit the initial position of the opposing forces, edit ‘no-go zones’, ‘destruction zones’ where all buildings are converted into rubble and trees are burnt, and ‘water crossing points’. I'm very excited about this game and you will see more material both at my blog and YouTube channel. Stay tuned. Great preview. The battle generator looks really flexible. Hopefully the AI ends up being really solid as no plans for multiplayer it seems. Looks great. I will be getting this. I picked this up as soon as it became available; no regrets whatsoever and happy to have supported Veitikka in this way. Normally I wait until I see some pretty deep sales because my patience is deeper than my pocketbook, but Matrix permitted this to be priced reasonably. I'm looking forward to your impressions of it, JC!